For all appointments, please phone 03 9776 6411. A referral from your GP or specialist is required prior to making an appointment. Patients may phone or send an online enquiry (using the form) to Brett’s secretary, Marion. Marion has worked with Brett for more than 25 years and has considerable experience in managing patient enquiries and understands the range of issues that may present. 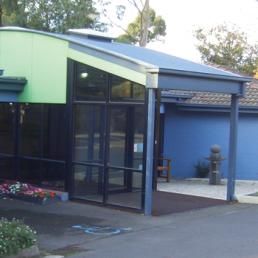 Wattletree Specialist Consulting Suites is located on the corner of Wattletree Lane and Cranbourne Road (opposite St John of God hospital). From Langwarrin: turn left into Wattletree Lane just after the pedestrian lights at Ballam Park. From Frankston: move into the right-hand lane when you pass McDonalds, and Wattletree Lane is the next street on the right. From Eastlink Freeway, turn right off the freeway and the consulting suites are two minutes down Cranbourne Road. Plenty of free parking is available at the practice. Entry is from Wattletree Lane (opposite St John of God Hospital). Bus details: Buses 789, 790 and 791 leave from Frankston Station and bus stops are a short distance away. Cranbourne Transit have timetables.